With over 20 years experience as a children's book editor and publishing consultant, Harold D. Underdown brings a wealth of knowledge to this excellent book for children's writers and illustrators. In addition to these credentials, he has one of the most popular sites for children's writing on the web: www.underdown.org. Publishing Children's Books (ISBN 978-1-59257-750-7) is divided into six well-organized parts. Part 1, Where to Begin? helps authors figure out how to harness their imaginations and ideas into workable children's book plots. This section is all about assembling the tools and mental attitude you'll need to write successfully. I really like the thoughtful, pragmatic information that Underdown offers in this first part of the book. He explains that grabbing ideas and putting them to paper is only the beginning. Professionalism and business acumen will be just as important in your journey to become a successful writer. Even though you're writing for children you'll still need to impress adults to make your way in this business. The author's writing flows and is deceptively easy to read (it's one of those Complete Idiot's Guide books) but don't let that lull you into thinking that you're not learning anything! This book contains great gems of wisdom even for the accomplished writer. 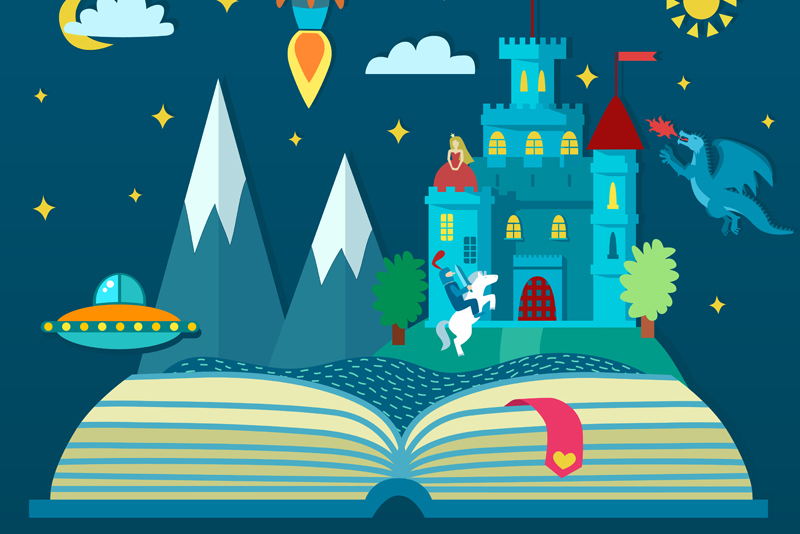 Part 2, Get Ready, Get Set introduces a snapshot of the history of children's publishing, the different types of children's books, and the pieces that make up a finished book. I've been involved invarious aspects of publishing for over 20 years, so I didn't think I would learn anything new from reading this section but I was wrong! Underdown's explanation of the wide variety of subjects, genres and forms of children's books is an incredibly valuable overview and made me think of other types of books I might want to try writing. He also offers additional resources for writers who want to learn more about creativity and writing techniques. Part 3, Reaching Out gives writers the guidance to self-assess their own material to see if it's ready for presentation to the appropriate publisher, children's editor, art director, or agent. Unfortunately, writing a book is not like baking a cake. You can't just insert a toothpick to tell if it's really done or not. Underdown provides some great insights into determining whether your book is ready for the publishing world or not and gives some practical tips on how to get the type of feedback that can help you to improve your manuscript. His guidance on approaching editors and agents and submitting to publishers is definitely the secret sauce of this book. Part 4, Understanding Publishers paints a picture of the world of publishing options from traditional publishers of different types to self-publishing. This series of chapters provides an in-depth view of how to research and pitch your work to the publisher/s most likely to appreciate your writing style and subject matter. Publisher's catalogs and other reference books provide a wealth of data that is ready for you to mine with the techniques he provides. The author also gives an overview of the advantages and disadvantages of self publishing. Part 5, Working with a Publisher explains that the contract you sign is only the first step in working with a publisher. So what actually happens after you're offered a contract? After the negotiation, you'll be expected to revise and incorporate your editor's suggestions into your perfect baby. Wow! This is where the professionalism you show and the attitude you bring is going to make a difference in whether your first book published eventually becomes a legion of books or a one-time lucky break. My favorite part of this series of chapters are the vignettes from working children's editors as they talk about their experiences in acquiring products. These real-life interviews help Underdown's readers peek behind the curtains to see the inner workings of publishing houses and their staffs. Part 6, My Book is Published! Now What? presents the many publicity opportunities in store for you as you promote your book. A published book is just the beginning. Even accomplished authors are expected to help their publishers promote their books with school visits, events, and book signings. Underdown provides you with an overview of how you can connect with your readers (young and old) and position yourself for future success as you build your career as a children's author. As I prepared to write this review, I read this top-notch book for the second time. I now need to read it again to make sure I've soaked up all that it has to offer. I highly recommend it! You can purchase Harold Underdown's Publishing Children's Books at Amazon.com.